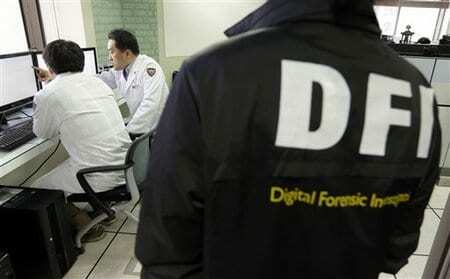 Investigators have yet to pinpoint the culprit behind a synchronized cyberattack in South Korea last week. But in Seoul, the focus is fixed on North Korea, which South Korean security experts say has been training a team of computer-savvy “cyber warriors” as cyberspace becomes a fertile battleground in the nations’ rivalry. Malware shut down 32,000 computers and servers at three major South Korean TV networks and three banks last Wednesday, disrupting communications and banking businesses. The investigation into who planted the malware could take weeks or even months. South Korean investigators have produced no proof yet that North Korea was behind the cyberattack. Some of the malware was traced to a Seoul computer. Without elaborating, police said Monday that some of the malicious code also came from the United States and three European countries, South Korea’s Yonhap news agency reported. But South Korea has pointed the finger at Pyongyang in six cyberattacks since 2009, even creating a cybersecurity command center in Seoul to protect the Internet-dependent country from hackers from the North. It may seem unlikely that impoverished North Korea, with one of the most restrictive Internet policies in the world, would have the ability to threaten affluent South Korea, a country considered a global leader in telecommunications. The average yearly income in North Korea was just $1,190 per person in 2011 – just a fraction of the average yearly income of $22,200 for South Koreans that same year, according to the Bank of Korea in Seoul. This entry was posted on March 25th 2013 at 5:12pm/17:12 and is filed under Live News Column 1, World News. You can follow any responses to this entry through the RSS 2.0 feed.